There are no two ways about it – tax is a hassle. It can be stressful and expensive, and this is particularly the case for contractors and freelancers. 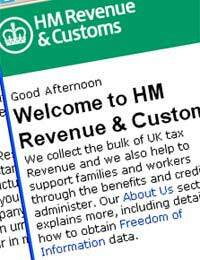 Rather than having their tax responsibilities dealt with by an employer through the PAYE System, these individuals shoulder the burden of dealing with HM Revenue & Customs (HMRC) themselves. This can be a tortuous process. However, tax need not be quite so taxing. There are a number of simple but effective tips that, if followed correctly, can save contractors and freelancers time, money and heartache. In the first instance, it is vital to ascertain who has responsibility for assessing and paying your tax bill. This will be determined by the legal structure under which you operate. There are two likely options here: your own limited company, or an 'umbrella' company. If you are running your own company, you will be required to handle all of its tax affairs. This includes preparing annual company accounts. As such, many contractors in this position choose to Employ An Accountant. On the other hand, if you are using an umbrella company, they will pay your Income Tax and NI contributions as they essentially act as your employer. You should bear in mind that these will be deducted from the fee paid by the client. If you are running your own limited company, you have a number of options regarding the way in which you pay yourself. Proposals have been tabled that would narrow these options, but they were put back in the 2008 Pre Budget Report. Company directors still, therefore, have the option of drawing a salary or paying themselves through a dividend. Many people choose to draw a salary just below the income tax and NI threshold, and take the rest as dividends. This is a far more tax efficient way of taking cash out of the company. Furthermore, you are likely to have to put some existing equipment, such as a laptop or machinery, into your company when you incorporated. You can take the value of these items back out of the company, totally tax free, over time – potentially years, if this is the most tax effective method in your case. You are entitled to a variety of tax allowances if you work from home. A worryingly high number of home-based freelancers and contractors are unaware of these allowances. If used properly, they could save you a considerable amount. You can claim deductions against the costs incurred as a result of you working from home. This would include such things as heating and electricity, as well as phone bills and so on. In order to work out the amount that you can claim, you need to add together all of the allowable expenses, and determine what proportion of that total is accounted for by the room in which you work. HMRC are very strict about their definition of working from home; you must have a room with a desk, rather than a laptop in the kitchen. If you are contracting for the first time, you may well find it useful to seek the advice of an accountant. Many will be happy to give free consultations, generally with no obligation. This is to be recommended, as they will be able to offer specific information relevant to your circumstances.